In this digital age we save so much important information on our computers, that when they crash – we loose everything. The best way to prevent this from happening is to backup your hard drive, so you can restore all of your files immediately – and the iDrive cloud backup solutions deal is the best one around. 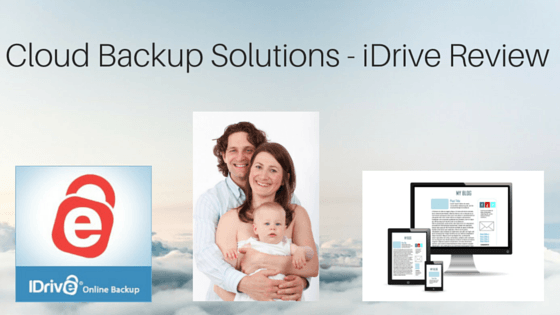 iDrive is your one stop backup solution for your digital life. Essentially, you save a copy of your files, such as your photos, bills and other important information to the cloud. This means that if your house burns down, you spill your coffee on your laptop, or your PC or laptop is stolen or crashes, you can quickly and easily download and restore all of this information and family mementos at the click of a button. This company is not some fly-by-night who comes and goes, they are an established company with a very good reputation. They have been recommended by MacWorld, cNet, TechCrunch, PCWorld and lots of other well known businesses. 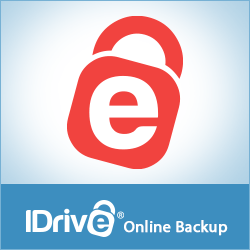 What does iDrive online backup offer? You will be surprised at all the features offered by iDrive. One of the great features is that iDrive are one of the few companies that offer you a FREE account, so you can store up to 5GB of data with them and it will cost you nothing at all. This is such a great deal, because even though many of the nanny cams have cloud storage, you can only store your images and videos taken with your nanny cam in their storage.So you have nowhere to save all of your other important data. 5GB of storage absolutely free – If you want more space than this they have a very reasonable payment plan starting at $59.95 per year for 1TB (many cloud backup solutions charge this per month). Military grade security – You don’t have to worry about transferring or storing your personal data and photos in the cloud, because iDrive use a military grade 256-bit AES encryption with an optional private key. Sub- accounts – You can create an unlimited number of sub-accounts so every member of your family can backup their own files safely on the cloud. This is a great feature when you have more than one computer in use or you have teenagers at home. Social media backups – You can even backup and fully restore all of your Facebook and Instagram photos, as well as videos with your iDrive account. Remote restorations – If you are away from home and your teenagers computer crashes, you can restore it from anywhere in the world via your web-based console. Safe storage – The iDrive servers, where all of your data will be stored are built to withstand natural disasters and are monitored 24/7 for any potential network security threats. Sync data – You can even decide to sync your data, which means that when you edit a document or save another photo or image to your computer, it is immediately saved to your backup files on the cloud. You can even sync all of your different devices as well, so the most recent files are all up to date. How do you use iDrive backup? All you need to do is to save your files to the cloud on a regular basis. Some people do this at the end of every day, others do it weekly. The more often you backup your system the more recent your restored data will be. There is no point in backing up your files once a year, because when you need to restore your file – your files will be a year old and none of your recent data will be restored. So regular backups are essential – but this takes seconds and is very easy. This is all so easy with iDrive because you can do an immediate backup of your system when you first open your account and then set up a schedule for your backups. You don’t have to do anything from that point onwards, because your system will be automatically backed up as per your schedule. Why is iDrive rated so highly? Even though iDrive doesn’t offer unlimited storage on the cloud, it is one of the leading online backup services. This is because it has first class security and a top-notch customer support system that can answer all of your easy questions, right up to the extremely technical queries. Since most other online storage companies do offer unlimited storage, the fact that iDrive don’t offer this service, but are still considered one of the leading companies – this tells you that this company is one of the best in the business. iDrive outperforms just about all of the other cloud backup solutions on the market and the only negative is that they don’t offer unlimited storage. If you want to keep your photos, family videos and other important data and files safe, then you need to store them on the cloud, just in case your computer crashes – so you don’t lose everything. iDrive offers you one of the best cloud backup solutions on the market with instant backups and restoration of your files, military grade security measures and a 5GB free account. Free online backup is next to impossible to find today, because just about all other cloud storage services charge for every GB they store. This is definitely a cloud backup solution worth investigating for your family. « Amcrest Pro HD 1080P nanny cam catches a burgler!